The LE-394 Audio Monitoring Kit from Louroe Electronics is a 4-zone audio monitoring system designed for audio monitoring and interfacing with DVRs, VCRs, or other audio devices that accept line level audio. This kit consists of an AP-4 Desktop Base Station, 4 Verifact A Microphones, an AD-1 Plug-in Switching AC Adapter, and a dual RCA cable for connecting to a DVR / VCR or other audio devices that accept line level input (0 dB @ 600?). 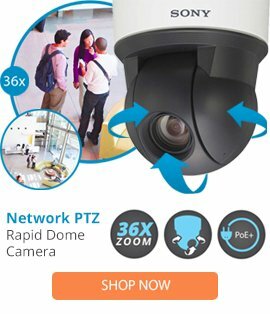 It is suitable for use in convenience stores, fast food restaurants, booking rooms, interrogation rooms, day care centers, sleep disorder centers, therapy labs, cashier booths, gas stations, or anyplace where CCTV cameras are installed. The AP-4 Audio Base Station is a non-alarming audio monitoring base station that provides 4 audio zones. The AP-4 Audio Base Station accommodates 4 Louroe microphones and has 4 line level audio outputs. It contains a 3-inch (7.62cm) built-in speaker for producing live audio and audio playback from a DVR. In addition, it also contains a selectable RCA audio output for interfacing with a DVR with only one audio input, or with a VCR. You can select a zone by using the pushbutton. The Verifact A Microphone is an omni-directional, low-impedance, electret condenser microphone with a built-in preamp for producing line level audio. It is housed in a high-impact ABS dome designed for ceiling or wall mounting. The normal pick-up pattern is approximately up to 15' (4.57m) from the microphone location towards all directions, or within a 30' (9.14m) diameter circle.